When expanding data storage capacity, deploying multiple servers can lead to complexity in management and dramatically increased cost. 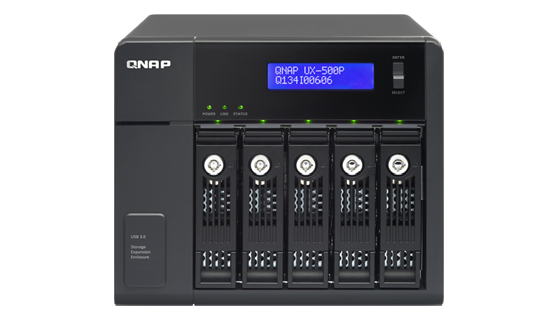 The QNAP UX-500P expansion enclosure is a budget-friendly expansion alternative designed with easy setup in mind for expanding the total storage space of your Turbo NAS for general applications. By connecting one expansion enclosure, the UX-500P offers a hassle-free storage expansion for home/small office use. 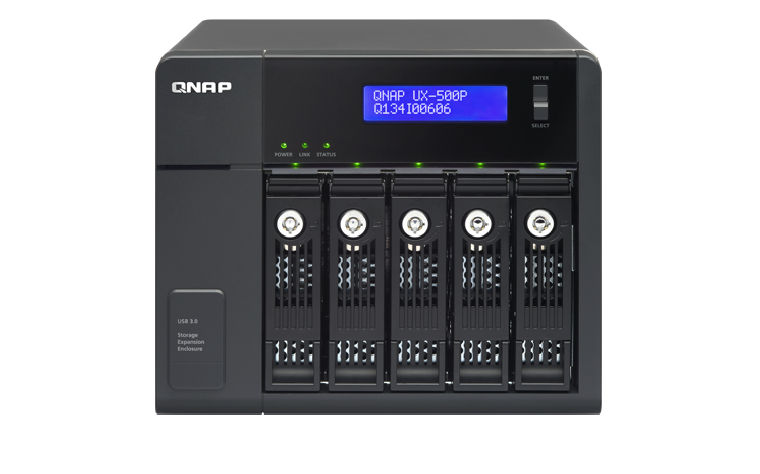 The UX-500P provides additional 5 hard drives for the Turbo NAS and allows for a total expansion raw capacity of 30 TB* making it especially useful for data backup, digital media collection, and video surveillance. Simply connect the UX-500P to a Turbo NAS* and power it on. 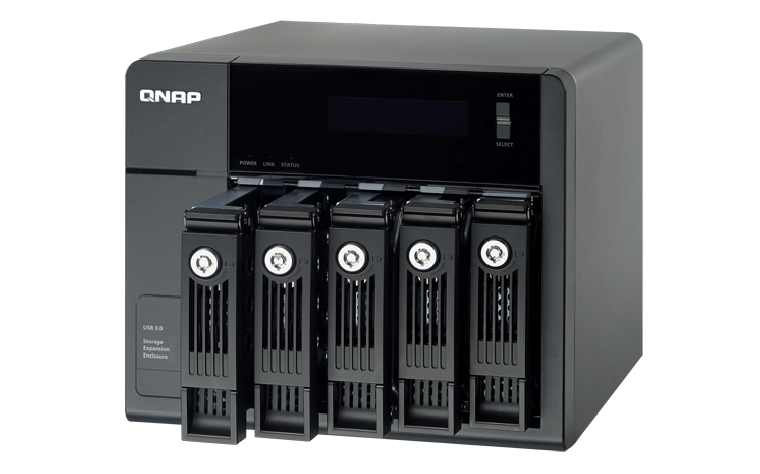 The Turbo NAS will automatically detect the hard drives in the UX-500P as newly installed local drives. 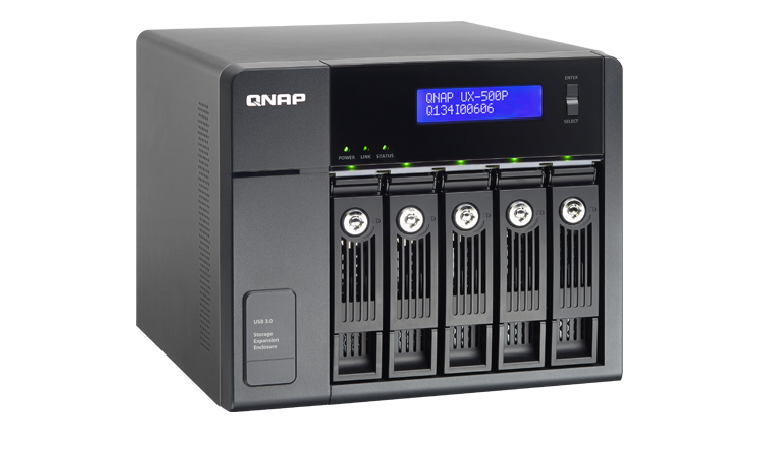 The Turbo NAS capacity can then be expanded as a large volume seamlessly and economically by using the powerful QTS Storage Manager. 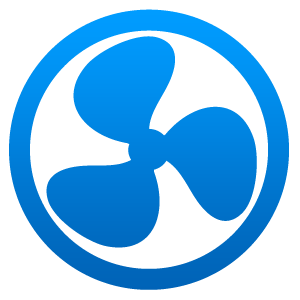 *QTS 4.0.5 or newer is required for the Turbo NAS. 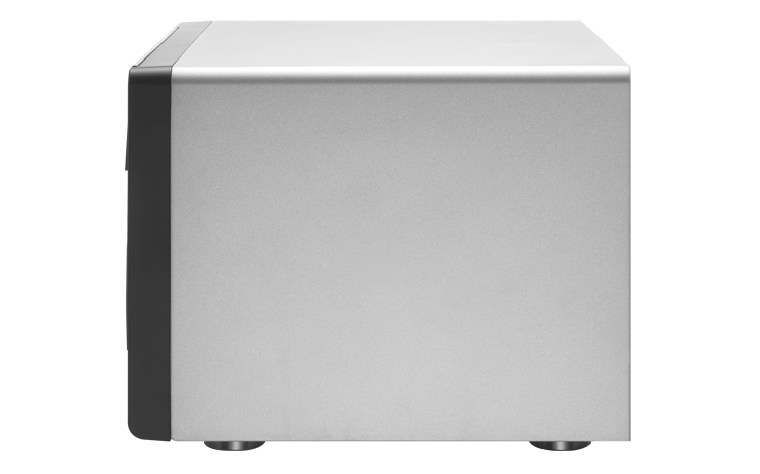 *Supported Turbo NAS models and maximum number of applicable expansion enclosures. 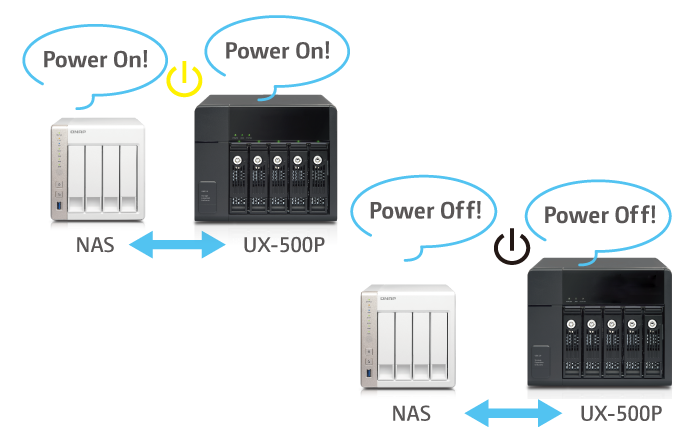 If your UX-500P is accidentally disconnected, the Turbo NAS enters missing mode and blocks I/O access to protect the stored data. The system can then recover from the missing mode to the normal state with data staying intact. 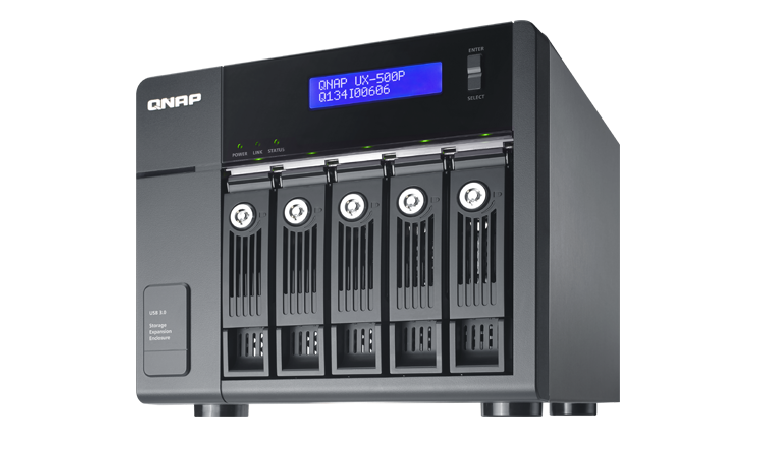 The QTS Storage Manager neatly presents tools and options for managing system storage with a modern & intuitive graphical user interface, which greatly simplifies the process of NAS capacity expansion and UX-500P management. No matter if you are an IT administrator or Home user, you can easily monitor the health status of UX-500P and the disks within it. 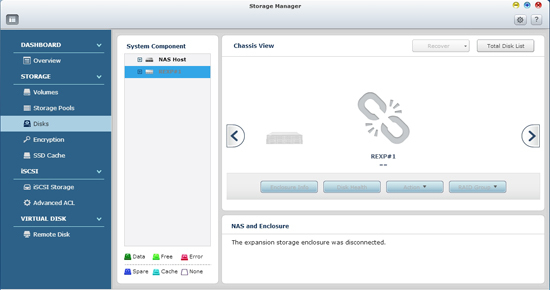 When multiple expansion enclosures are connected, the Locate Disk and Locate Enclosure functions assist you in quick maintenance*. 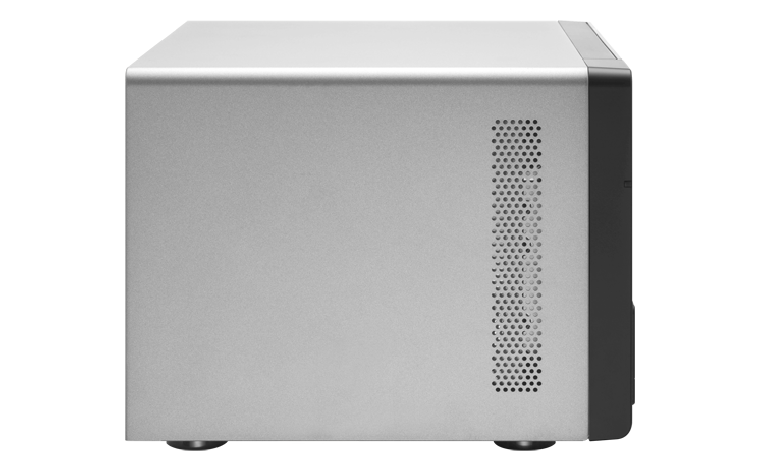 The UX-500P features 8 hot-swap drive bays for easy installation and removal. The automatic insertion/removable detection and rebuild allow easy management. 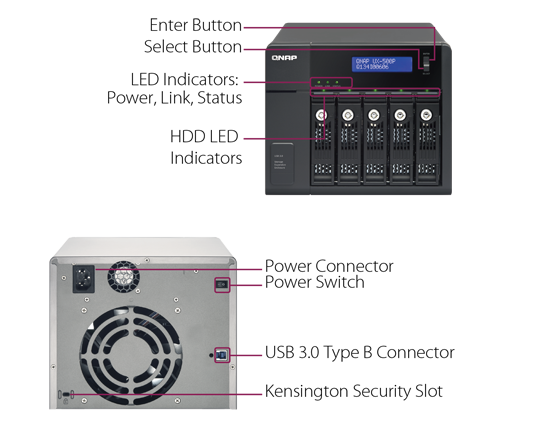 Featuring RAID 0, 1, 5, 6 and 10 support and managed by the powerful QTS Storage Manager, the UX-500P ensures maximum performance and data security. The UX-500P can be used as a budget-friendly external storage to perform speedy and secure backup tasks for the Turbo NAS. 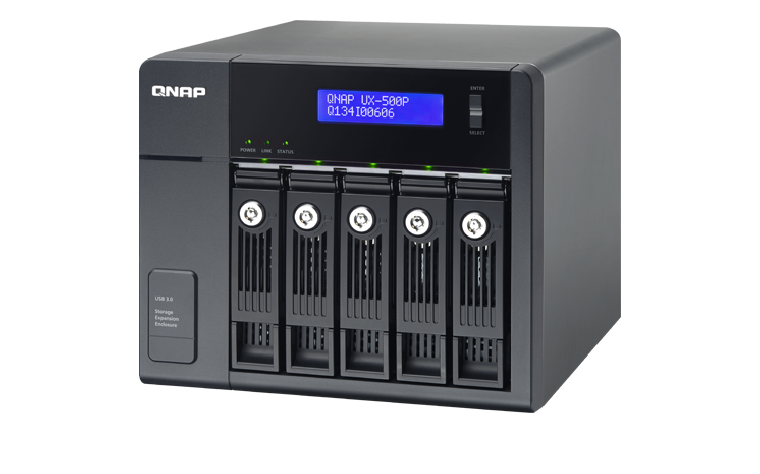 The administrator can back up the Turbo NAS data to the UX-500P on a real time or scheduled basis. The UX-500P automatically powers on and off with your Turbo NAS, allowing for total convenience and energy saving. 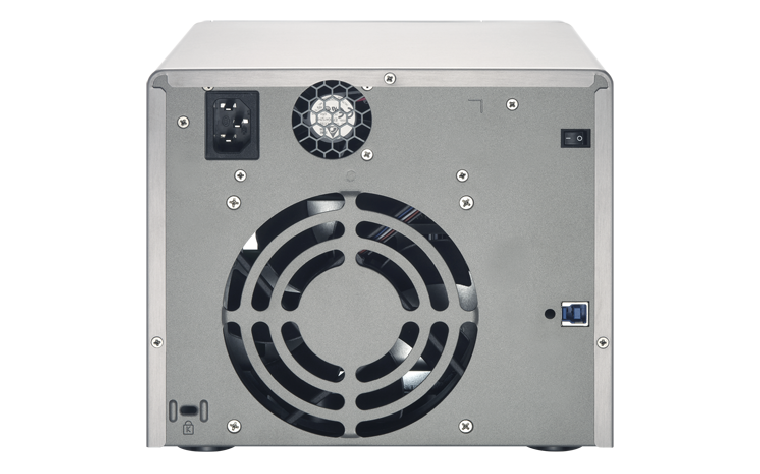 The UX-500P includes a full 250W internal PSU to provide ample power even under sustained full load. 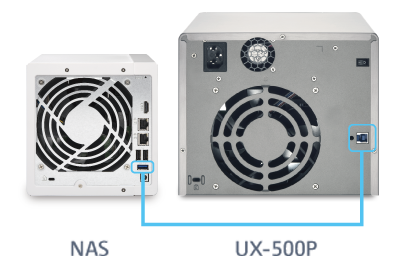 The well-ventilated chassis and smart fan helps to provide efficient cooling for better stability and reliability, with the fan enabling efficient heat removal even when all 5 drives are under full operation simultaneously.